On November 16, 2015, the Centers for Medicare and Medicaid Services (CMS) published the CY 2016 Medicare Physician Fee Schedule (PFS) Final Rule (CMS-1631-FC) in the Federal Register. This is the first PFS final rule since the passage of the Medicare Access and CHIP Reauthorization Act of 2015 (MACRA) which repealed the Sustainable Growth Rate formula. The MACRA allowed the zero percent update that would have ended on March 31, 2015, to continue through June 30, 2015, allowed for a one-half percent (0.5%) update from July 1, 2015, to December 31, 2015, and allows for a one-half percent (0.5%) update for CY 2016. The MACRA also extends the physician work geographic practice cost index (GPCI) floor of 1.0, and the therapy cap exceptions process, through December 2017. You may note that the 2016 conversion factor of $35.83 is slightly lower that the 2015 conversion factor of $35.93. This is due to the application of a required -0.02 percent Budget Neutrality Adjustment and a -0.77 percent Target Recapture Amount adjustment related to the misvalued procedure code policy. Supporting documentation and downloads for Regulation #CMS-1631-FC may be found here. An overview of the Physician Fee Schedule Payment Policies may be found at http://www.cms.hhs.gov/PhysicianFeeSched/ and an overview of skilled nursing facility consolidated billing and annual updates can be found at http://www.cms.gov/Medicare/Billing/SNFConsolidatedBilling/. Members of Congress returned to their home states last week ahead of a week-long district work period coinciding with the Thanksgiving holiday. Legislation focusing on the resettlement of Syrian refugees as well as a budget reconciliation measure containing changes to the affordable care act will be at the center of attention when Congress returns next week. Lawmakers also must address appropriations measures should the reconciliation measure fail after a predicted presidential veto. The deadline for action on the budget is December 11. The House and Senate already passed a budget deal earlier this year which sets top-line spending limits; however debates still exist on how that money should be appropriated. Speaker of the House Paul Ryan announced he will allow policy riders on appropriations legislation, muddying the already murky situation. AHCA will continue to monitor legislative plans through the Thanksgiving holiday and ensure that long term and post-acute care providers are listened to and taken into account in any laws enacted before the new year. On November 6, the Centers for Medicare and Medicaid Services (CMS) provided several updates regarding their efforts to improve the Medicare Recovery Audit program. First, CMS announced that they have issued new Requests for Proposals (RFPs) for the next round of Recovery Auditor contracts at the Federal Business Opportunity website . The new RFPs were necessary as a Federal Court found the earlier versions were improper. CMS anticipates the new Recovery Audit contracts to be awarded in 2016. Second, CMS posted a revised Additional Documentation Request Limits document that describes a new process for Recovery Audits beginning January 1, 2016. These limits will apply to all providers except Physicians and Suppliers. Third, CMS posted an updated Recovery Audit Program Enhancements document showing the status of the enhancements currently in place, in progress, those that require modifications to existing contracts, and those incorporated into the new Recovery Audit Contract RFPs just released. Other current and future enhancements are related to improved education, technology use, clinical expertise, timeliness, etc. Members with questions may contact Dan Ciolek or Dianne De La Mare. Comments on the proposed rule are due by December 21, 2015. A CMS press release, FAQ and the proposed rule itself can be found on the CMS website. In addition, more information about the health care law in general is on the AHCA/NCAL website. On October 1, CMS opened registration for the voluntary period to participate in electronic submission of payroll data, including staff start and end dates (for calculating staff retention and turnover), and census data. The voluntary period from October 1, 2015 until required submission of this data beginning on July 1, 2016 is the ONLY time that providers will have the opportunity to “test” the process and determine how their payroll system interfaces with the Payroll-Based Journal (PBJ). AHCA/NCAL members can learn more about PBJ and its impact by accessing a free webinar here. AHCA believes that CMS is unlikely to make any significant changes to the process or the system and we strongly encourage members to consider registering for the voluntary submission period and submitting their data during the voluntary period. Important information from CMS about the registration process including links for on-line training as well as to other Payroll-Based Journal resources is available on the Staffing Data Collection PBJ website. The Affordable Care Act requires CMS to collect electronic staffing data from nursing centers. The Act requires this data to be auditable and verifiable. The information is intended to collect direct care staff (employed and contracted), employee turnover and tenure, and must include census data and case mix. Earlier this year, CMS announced they would require this information to be submitted by all nursing centers starting in July 2016. When the required submission process begins, CMS will continue to require providers to submit Forms CMS 671 & CMS 672 at the time of survey. The data from these Forms will be used in calculating the Staffing Domain of the Five Star Rating System until late 2017 or early 2018. Questions? Contact Lyn Bentley or Urvi Patel. AHCA/NCAL recently submitted comments to CMS a Request for Information Regarding Implementation of the Merit-Based Incentive Payment System, Promotion of Alternative Payment Models, and Incentive Payments for Participation in Eligible Alternative Payment Models. Briefly, when the MACRA Act of 2015 (Medicare Access and CHIP Reauthorization Act of 2015) eliminated the sustainable growth formula (SGR) for making annual adjustments to the physician fee schedule (PFS), which is used to pay SNFs for outpatient therapy services, it provided for fixed annual positive PFS payment updates through the end of 2018. After that date, only providers that participate and are successful in the quality-related and to-be-developed, MIPS or APM programs would be eligible for PFS payment adjustments. These new incentive programs would begin for physicians and some specified non-physician practitioners in 2019, and then potentially be extended to other eligible professionals (EPs), including physical therapists (PTs), occupational therapists (OTs,) and speech-language pathologists (SLPs) as early as 2021. However, in this RFI, CMS proposes to build the MIPS and APM incentive programs for the future PFS model upon the foundation of the existing Physician Quality Reporting System (PQRS), Value-Based Payment Modifier (VM), and Electronic Health Records (EHR) Incentive Program that are to be eliminated with the onset of the MIPS and APM. In the AHCA/NCAL comments, we note that while CMS recognizes PTs, OTs, and SLPs that work in facility-based provider settings (including SNF) as Eligible Professionals, they have historically excluded SNF therapists from participating in PFS incentive programs due to technology limitations rather than statutory restrictions. In the two specific recommendations, we are asking that CMS include SNF PT, OT, and SLP Medicare Part B therapy services paid under the PFS to be eligible for MIPS or APM adjustments when they become eligible per the MACRA 2021 timeline, and that CMS work with stakeholders to overcome the technological barriers that have prevented SNF therapy providers from participating in PFS incentive programs to date. On November 15, 2015, the U.S. Department of Health and Human Services (HHS) Administrator, Sylvia M. Burwell released the Fiscal Year 2015 Agency Financial Report. In the report, the Secretary highlighted that in FY 2015, Medicare Part A expenditures = $285.1 billion, Medicare Part B = 281.6 billion, Medicare Part D = $80.6 billion, and Medicaid = 378.9 billion. In the report, the Secretary indicated that the Comprehensive Error Rate Testing (CERT) program used to calculate the improper payment estimate, identified that the Medicare fee-for-service (FFS) gross improper payment estimate for FY 2015 is 12.09 percent or $43.33 billion. Within that rate, insufficient documentation was common for Skilled Nursing Facility (SNF) claims. Specifically, the improper payment rate for SNF claims increased from 6.94 percent in FY 2014 to 11.04 percent in FY 2015. While the updated utilization and error rate figures are new, the remainder of the Secretary’s report does not contain any new information related to SNF services, and what activities that agency is taking to assure that Medicare dollars are being spent wisely on high-quality services. 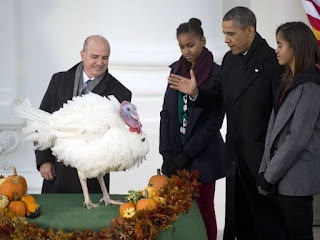 On February 12, 2014, President Obama signed Executive Order 13658, Establishing a Minimum Wage for Contractors. The Executive Order raises the hourly minimum wage paid by contractors to workers performing on covered Federal contracts to: (i) $10.10 per hour, beginning January 1, 2015; and (ii) beginning January 1, 2016, and annually thereafter, an amount determined by the Secretary of the Department of Labor (DOL) in accordance with the Order. On October 1, 2014, DOL published the final rule implementing the provisions of Executive Order 13658. DOL announced earlier this year that the minimum wage for certain federal contracts will increase to $10.15 per hour beginning January 1, 2016. The DOL notice on this increase can be found here. Should your current VA contract be up in the near future, be sure to carefully review and read your new VA contract before signing it for any new additions that could be in the contract that weren’t in your previous contract. Medicare (Parts A and B) or Medicaid providers are not considered to be federal contractors. However, if a provider currently has VA patients and a VA contract, they are considered to be a federal contractor. Since VA contracts are covered by the Service Contract Act, this Executive Order applies to such contracts. AHCA continues to work with our Congressional champions on getting VA provider agreements across the finish line, and taking those with VA contracts out of the scope of being deemed a federal contractor. Mark your calendars for National Influenza Vaccination Week (NIVW) during December 6-12, 2015. All are welcome to join the CDC in promoting flu vaccination before and during NIVW. The CDC plans to host several activities in support of NIVW, including a Twitter chat and Thunderclap campaign. Details will be shared soon regarding when and how to participate. If you wish to receive email updates directly from CDC’s Flu Inbox. You can unsubscribe at any time by emailing fluinbox@cdc.gov. Also, follow CDC updates on Twitter and Facebook. Access print and digital resources, including their series of animated images. 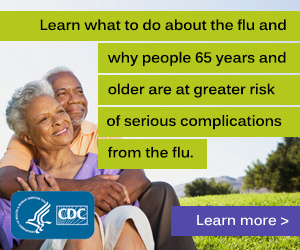 Order free printed copies of CDC flu materials if you wish to distribute hard copies. This year’s IO Leadership Conference promises to be better than ever with all the networking opportunities you love and educational sessions you need in an energizing and engaging atmosphere you can’t get anywhere else. The town hall format allows you to discuss all the important issues with your peers as well as a slew of top-notch speakers. Earn up to 11.5 CEUs and enjoy the beauty of sunny San Diego at the stunning Manchester Grand Hyatt. You’ll be raving about this conference for the rest of the year. Learn more, see the complete agenda, and register today! The Centers for Medicare and Medicaid Services (CMS) Monday finalized a rule that will change how Medicare pays for hip and knee replacements in a broader move by the Obama administration to reward quality over quantity in healthcare. The Comprehensive Care for Joint Replacement (CJR) program is a mandatory bundling program for lower joint replacement surgeries affecting providers in 67 metropolitan statistical areas (MSAs). Such surgeries are the most common for Medicare’s 55 million beneficiaries. The new direction seeks to optimize care coordination across a wide range of acute and post-acute care providers. Beginning April 1, hospitals will bear a greater burden of the risk following a lower joint surgery and will be accountable for the costs and quality of the care both during the operation and 90 days after the patient leaves the hospital. During this episode of care, the hospital can either be rewarded for maintaining low costs while delivering quality care, or, starting in the second year of implementation, can face monetary punishments in the form of Medicare repayments if spending is above target. Included in the rule is a partial waiver of the three-day hospital stay requirement for patients wishing to have skilled nursing care paid for by Medicare following a stay at a hospital. Current policy dictates that a patient must spend three inpatient days in a hospital before Medicare will cover costs associated with staying in a skilled nursing facility (SNF). The rule, however, waives this requirement for SNFs who have a Five-Star Quality Rating of 3 stars or higher for at least seven of the preceding 12 months, allowing Medicare payments for patients who did not spend 3 days in a hospital following a joint replacement. CMS released a version of the changes earlier this year in a proposed rule. The final version reduced from 75 the amount of MSAs affected, pushed the implementation date back from January 1, and gave hospitals more time to comply with regulations before they face penalties. 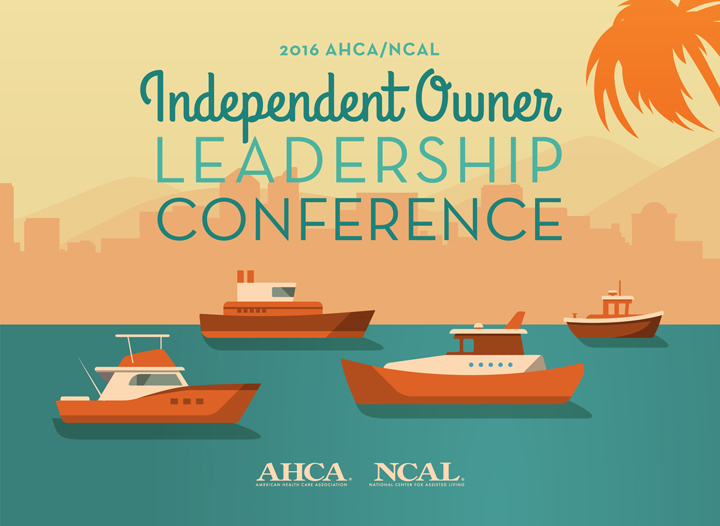 AHCA is currently developing a toolkit of resources for members who will be impacted by the new program. Small businesses can enroll in SHOP Marketplace coverage from November 15 through December 15 without meeting a participation requirement. This one-month window is available to small businesses each year. Outside of this window, in most states, small businesses generally must meet a minimum participation requirement of 70 percent in order to enroll in SHOP Marketplace coverage. The SHOP exchange was created by the Affordable Care Act to create marketplace for smaller employers to purchase health insurance at more competitive rates with lower administrative costs. More information about the SHOP marketplace open enrollment is available here. AHCA/NCAL members who are larger employers (50 or more full time employees in most states) are not eligible for the SHOP exchange. AHCA/NCAL has created a special program for these members who interested in providing health care benefit programs to their employees. Members are encouraged to look at AHCA/NCAL Insurance Solutions for more information about competitive ACA compliant health insurance programs before making a final decision about their health insurance programs. Earlier this year, AHCA and nearly 50 national organizations sent a letter of support to the leads sponsors of the Recognize, Assist, Include, Support, and Engage (RAISE) Family Caregivers Act (S. 1719/H.R. 3099). Introduced by Senator Susan Collins (R-ME), Senator Tammy Baldwin (D-WI), Representative Gregg Harper (R-MS-3), and Representative Kathy Castor (D-FL-14), this legislation would implement the federal Commission on Long-Term Care’s bipartisan recommendation that Congress require the development of a national strategy to support family caregivers. The bill would create an advisory body to bring together relevant federal agencies and others from the private and public sectors to advise and make recommendations. The strategy would identify specific actions that government, communities, providers, employers, and others can take to recognize and support family caregivers and be updated annually. The U.S. Senate Health, Education, Labor and Pensions (HELP) Committee will be considering and marking up this legislation this morning. According to AARP, in 2013, about 40 million family caregivers provided unpaid care valued at about $470 billion to adults who needed help with daily activities, more than total Medicaid spending that year. According to the Caregiving in the US 2015 study from the National Alliance for Caregiving and AARP, about 3.7 million family caregivers provide care to a child under age 18 because of a medical, behavioral, or other condition or disability. S. 1916, the Rural Health Care Connectivity Act of 2015. The Rural Health Care Co​nnectivity Act of 2015 would amend the Communications Act to permit skilled nursing facilities to apply for support from the Universal Service Fund’s Rural Health Care Program (RHCP). An AHCA press release on this legislation from earlier this year can be found here. The AHCA/NCAL Quality Summit has so many opportunities to engage with the best minds in long term and post-acute care you can’t afford to miss it. Earn up to 12.75 CEUs and step closer to reaching your quality goals. Registration is open so sign up to join your colleagues in one-of-kind education sessions and intensives, networking receptions, the popular moderated Poster Gallery Walk, LED talks, and more. Get all the details, review the agenda, and register now. Do you have a great topic to share? Have you been looking for the opportunity to inform others with your experiences and knowledge? Now is your chance to share ideas that reflect your success stories and professional insights, as well as ideas and programs that enhance the long term and post-acute care service delivery. We are particularly interested in proposals that reflect and will help support providers in achieving the AHCA Quality Initiative goals and the Quality Initiative for Assisted Living. The 67th Annual Convention & Expo will be held October 16-19, 2016 in Nashville, TN. The Call for Presentations for the 2016 Convention in Nashville closes at midnight on November 30th. As you may know from previous correspondences from AHCA, on February 12, 2014, President Obama signed Executive Order 13658, Establishing a Minimum Wage for Contractors. The Executive Order raises the hourly minimum wage paid by contractors to workers performing on covered Federal contracts to: (i) $10.10 per hour, beginning January 1, 2015; and (ii) beginning January 1, 2016, and annually thereafter, an amount determined by the Secretary of the Department of Labor (DOL) in accordance with the Order. On October 1, 2014, DOL published the final rule implementing the provisions of Executive Order 13658. DOL announced earlier this year that the minimum wage for certain federal contracts will increase to $10.15 per hour beginning January 1, 2016. The DOL notice on this increase can be found here. Should your current VA contract be up in the near future, be sure to carefully review and read your new VA contract before signing it for any new additions that could be in the contract that weren’t in your previous contract. 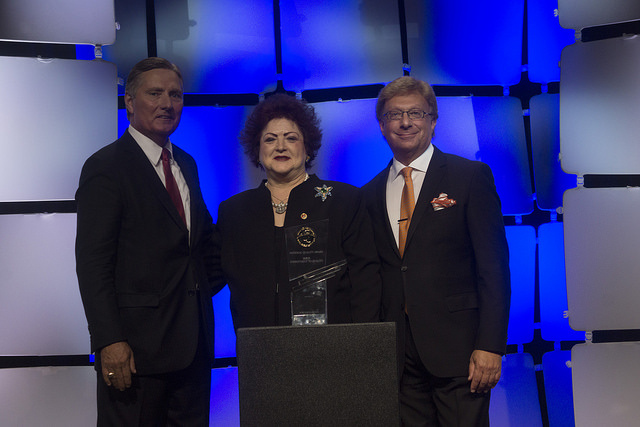 1 day left to submit your Intent to Apply for a 2016 Quality Award! The deadline to submit your Intent to Apply (ITA) for a 2016 Quality Award is by 8 pm ET this Thursday, November 19! Be sure to do it today! Applicants who submit an ITA receive a discount off of their overall application fee – a $200 savings for Bronze applicants; a $400 savings for Silver; and $550 savings for Gold. In addition, applicants receive exclusive tips on submitting a successful application. The complete awards fee schedule is available here. 3 days left to save up to $550 on your 2016 Quality Award application! Submit your ITA today! 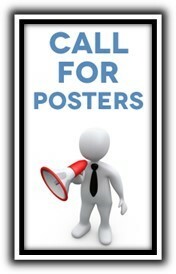 Only 8 days left to submit your poster session proposal! We are currently accepting Poster Session proposals for the Inaugural Quality Summit in San Antonio, TX on February 9-11, 2016. Tell us how you have employed either a QAPI or Baldrige approach to accomplish one of the AHCA or NCAL Quality Initiative goals. Poster Sessions are excellent forums for communicating interventions, new models of service delivery, and innovative research projects. They provide a fun, interactive learning experience. This will be your opportunity to shine and share all of the great things that you've done at your center. It also provides a wonderful networking opportunity for everyone. All poster session participants will receive a certificate recognizing their participation. The deadline to submit is November 20th, 2015. Applicants will be notified on December 7th, 2015. For questions contact Urvi Patel at upatel@ahca.org. Speaker of the House Paul Ryan created a leadership vacuum on the Ways and Means committee after he left for the top post in the House, resulting in Rep. Kevin Brady of Texas as the new committee Chairman. Brady will become one of the party’s leading voices on various economic and health policies, including Medicare policy. In a statement, Brady said that he wanted to implement a “pro-growth agenda” for the country. Ryan left the committee for the Speakership with no clear replacement. Brady defeated Rep. Pat Tiberi of Ohio in a secretive steering committee vote last Wednesday, where Speaker Ryan and House Majority Leader Kevin McCarthy (R-Calif.) have outsized sway to decide who would be appointed chair. Brady, the second most-senior member of the committee, indicated he would like to chair Ways and Means as early as January, when Ryan leapfrogged him for the post. Tiberi is the fourth highest-ranked member of the committee. Devin Nunes (R-Calif.) also was briefly in the race before dropping out ahead of the steering committee meeting. 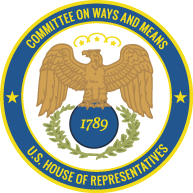 Brady’s ascension to the chair has sparked another race for his old seat, chairmanship of the Way and Means subcommittee on Health. Tiberi, currently chair of the Subcommittee on Trade, has expressed interest in succeeding his former opponent. 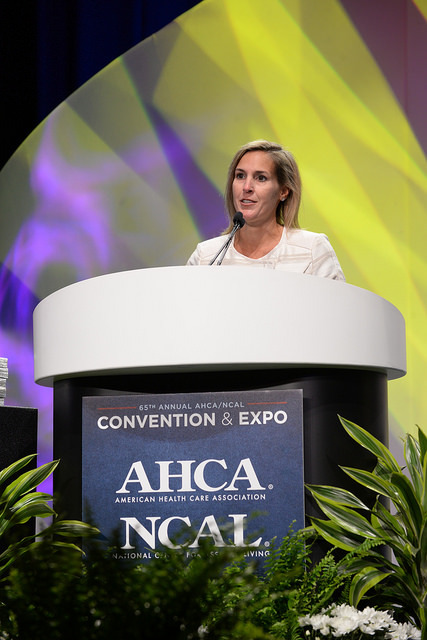 AHCA will continue to monitor the leadership changes in the important Ways and Means committee and advocate on behalf of the long term and post-acute care profession. Effingham Care Center (ECC) began its journey toward Gold Quality performance long before the first AHCA application filed in 2009. In 1992, the organization embraced The Deming Management Method and initiated a systematic process to identify and establish continuous measures for key quality and customer measures. This foundational approach expanded over the years as various healthcare regulatory bodies required increased evidence of clinical accountability. Maintaining this type of oversight of ECC operations, however, provided a limited view of the overall effectiveness of the non-clinical aspects of the business. 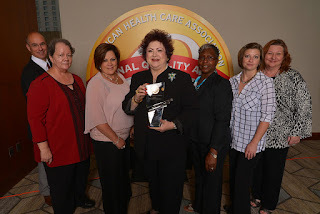 Accordingly, when the ECC Nursing Home Administration (NHA) learned of the AHCA approach to measuring overall quality of essential processes based on the Baldrige Criteria, the discovery became the motivating factor in developing and filing an application for Bronze Award status in 2009. The application feedback provided very specific and useful opportunities for improvement. Using the feedback, the organization focused on hard-wiring many of the processes that had guided operations. In addition, the report highlighted the need for increased strategic alignment as well as increased specificity in goal-setting. This led to the formalization of the strategic planning process. In addition, through developing the 2010 Silver Award application and processing the feedback, changes such as expanding decision support services and hiring a full time ECC Quality Nurse were implemented to facilitate the systematic translation of results to the improvement of products and services. Invest in an AHCA training course regarding developing the application. Hire a coach with expertise in the Baldrige criteria to provide critical commentary as well as identify areas where additional evidence/measures are needed to demonstrate a process. Expand the time block set to complete the application draft. The 2015 process also involved a much broader cross-section of workforce segments. As a result, preparation for the site visit was simplified and the celebration of success of reaching the Gold level was much more meaningful. ECC leadership recognizes that the organization will continue to have challenges to develop and implement new cycles of learning and performance. The Baldrige approach provides both clarity and a roadmap that points the way. According to a November 10, 2015, email alert from the Centers for Medicare and Medicaid Services, you can complete your Small Business Health Options Program (SHOP) Marketplace application by November 15 for coverage starting December 1. If you submit your initial group enrollment by November 15 and make your initial payment, your coverage can be in place as early as December 1. All SHOP Marketplace applications submitted between November 15-December 15 each year are not required to meet participation requirements. If you need assistance, you can call the SHOP Call Center at 1-800-706-7893 (TTY:711) Monday through Friday from 9am to 7pm ET or visit HealthCare.gov. For in-person assistance, find a SHOP-registered agent or broker in your area. 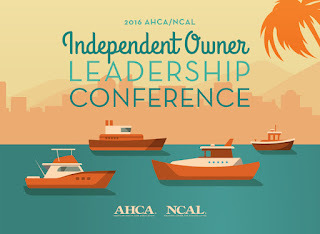 AHCA/NCAL now offers a forum for sharing ideas and other networking that is geared toward young professionals in the field of long term care. This site is mainly for people who have been in the field less than ten years. We hope that you use this as a place to gather and ask questions, and invite other AHCA/NCAL members to join the group. Below is information on how to easily join the group. Once you have an account, you can log in to AHCANCAL Connect and join our Young Professionals community. Find the Young Professionals Community and click Join and select your notification preferences. We recommend real-time so you don’t miss anything. Once you have joined the community, take a look at your profile and fill out as much as you’d like. We’d love to see your picture. It doesn’t have to be a professional headshot, any photo will work! If you have any trouble, click the Contact Us link at the top of the page and one of our staff members will help. The budget deal (H.R. 1314, the “Bipartisan Budget Act of 2015”) signed into law by President Obama last week repeals Section 18A of the Fair Labor Standards Act (FLSA) which required employers with more than 200 full-time employees to automatically enroll new full-time employees in one of the employer’s health plans. The repealed FLSA provision was part of the Affordable Care Act. It had never been put into effect and critics considered the provision redundant with other ACA requirements. The law firm of Jackson Lewis wrote an advisory article about the repeal which further discusses employers that use “negative” or “default” elections for enrolling employees. The advisory notes that employers still need to notify employee about coverage and costs and give employees an opportunity to opt-out of benefits. AHCA/NCAL members are encouraged to look at AHCA/NCAL Insurance Solutions before deciding on their employee benefit plans. Members can contact AHCA/NCAL Insurance Solutions to see if that program can save them money on their health insurance programs or call Dave Kyllo at 202-898-6312 or Nick Cianci at 202-898-2841 for more information. A US District Judge has rejected an Obama Administration request to immediately appeal her September decision to let the House republicans proceed with their lawsuit over the implementation of the Affordable Care Act (ACA). See http://www.nytimes.com/politics/first-draft/2015/10/20/judge-denies-obama-administration-quick-appeal-in-house-suit-against-health-care-law/?_r=0. Accordingly, the litigation should proceed without further delays. CMS Reports ICD-10 Transition is Smooth: CMS has been monitoring the transition to ICD-10 and is reporting that claims are reporting normally. CMS states that “Generally speaking, Medicare claims take several days to be processed and, once processed, Medicare must – by law – wait two weeks before issuing a payment. Medicaid claims can take up to 30 days to be submitted and process by states.” For these reasons, CMS believes it will have more information later in November. CMS Issues a New Document to Assist Providers Answer ICD-10 Questions: CMS has just issued a new resource guide and contact list to help health care providers with the ICD-10 transition. The document provides Medicare and Medicaid contacts for anticipated questions. CMS Updates Medicare Fee-For-Service (FFS) FAQs: CMS has recently updated its Medicare FFS FAQs. CMS Videos on ICD-10 Coding Available: CMS MLN Connects video are available on ICD-10 Coding Basics. Learn about the characteristics and unique features of ICD-10, as well as similarities and differences between ICD-9 and ICD-10. CMS Offers 5 Ways to Check Your Claim Status: CMS outlines 5 ways that providers can check their claim status: 1) Use the Interactive Voice Response (IVR) through a toll-free number; 2) visit the MAC website for information on the Provider Contract Center; 3) visit the MAC website for portal features and access; 4) visit the MAC website for more information on Direct Data Entry (DDE) (which is available for providers to bill institutional claims; and 5) use the ASC X12 Health Care Claim Status Request and Response to request the status of claims. CMS ICD-10 Ombudsman and Coordination Center: CMS’ ICD-10 Coordination Center supports the ICD-10 Ombudsman and is the center of CMS communications related to ICD-10 implementation. The Center will identify and assign ICD-10 issues for resolution, and coordinate with the external community. The Center also is responsible for coordinating post-implementation operations with a focus on delivering a high-quality experience for internal and external stakeholders, and is open Monday-Friday from 8 am to 6:30 PM Eastern time. Last week, CMS published its final rule on the Fiscal Year (FY) 2016 Hospital Outpatient Prospective Payment System. You can access CMS' fact sheet on the rule here . CMS relaxed some portions of the rule originally proposed earlier this year dictating what admitting physicians must document in order to justify payment as an inpatient. Also of note is CMS' decision to use Quality Improvement Organizations to conduct initial patient status reviews to determine payment appropriateness under Medicare; these reviews were previously conducted by Recovery Audit Contractors or Medicare Administrative Contractors. The American Hospital Association has praised the finalized changes. To read the full rule, click here . To read a great summary of the changes to the two-midnight rule, click here. Please email AHCA’s James Michel with any questions. Credential Your RNs and Add Real Value to Value Based Purchasing! In this era of value based purchasing, AHCA/NCAL members need to prove that their nursing services are designed to get results. Gero Nurse Prep is a smart and effective way to set your nursing operations apart from the rest. This unique program prepares nurses for the American Nurses Credentialing Center board certification test in gerontological nursing. Board certification (RN-BC) is the gold standard for demonstrating clinical excellence in geriatric patient care. Gero Nurse Prep Alums have a 96% pass rate on the ANCC gerontological nursing certification exam. Less than one percent of nurses have this prestigious credentialing, so investing in this program can give providers a competitive edge when negotiating with ACOs, MCOs and hospitals. Administrator Nicholas Weight of Oakridge Gardens Rehabilitation and Memory Center, a 2014 Bronze Award recipient, describes how the Baldrige Performance Excellence Criteria has assisted his organization in their improvement journey. Oakridge Gardens Rehabilitation and Memory Center, located in Menasha, WI, began our journey in an effort to advance our organization by utilizing a proven best practice approach, the Baldrige Criteria. Our main goals were to improve the quality of clinical care we provided, learn more about our customers and their desires, and become more systematic in our work processes. Prior to beginning our Quality Improvement Journey, we made decisions based on gut feeling, financial impact, and day to day issues that came up. Since beginning this journey, we have since moved away from those past habits and moved toward, although not totally there yet, a more predictable and expected outcome, based on data driven decision making and systematic review of problems. To create sustainability of our work and plan for future work, we now monitor all of our Key Performance Measures monthly through our Campus Leadership Team Meetings and benchmark ourselves against the state and national averages to determine if we need to address an issue prior to it becoming a problem. We have set up an in depth QAPI program that demands accountability through monthly, quarterly and annual assurance and improvement meetings. These meetings include not only our Campus Leadership Team but also floor staff from all departments, residents, and even family members. READ MORE. Administrator Marnie Talamona of Glen Hill Center, Genesis Healthcare, a 2014 Gold Award recipient, describes how the Baldrige Performance Excellence Criteria,has assisted her organization in their improvement journey. Glen Hill Center, Genesis HealthCare, located in Danbury, CT, became involved with the AHCA/NCAL National Quality Award program approximately ten years ago. Our Interdisciplinary team was looking to adopt a quality framework to improve and sustain our results. We wanted to create great leaders and teams to sustain improvements and to motivate employees while improving systems and processes. Those goals led us to investigate the Baldrige criteria. Through the use of the criteria, we began implementing new processes into our day to day operations and we evolved from there. One specific area Glen Hill was focused on is short term customer satisfaction. Customer satisfaction affects our clinical, financial and patient outcomes. We rely heavily on the recommendation of customers to grow short term business, improve financial results and budget expectations and to meet our strategic plan goals. Glen Hill set a measurable goal of achieving 90% or more of short term customers recommending Glen Hill to others on our MyInnerview satisfaction survey. We also set a related goal of our financial operating results being above budgeted expectations and our skill mix above 30%. Our strategies to measure our progress included tracking/trending monthly short term customer satisfaction survey results, financial operating results and skilled mix results. This information is brought to our performance improvement committee for action planning, root cause analysis, evaluation and learning. Glen Hill implemented each category of the Baldrige criteria into our day to day operations. This includes Leadership, Strategic Planning, Customer Focus, Measurement, Analysis and Knowledge Management, Workforce Focus, Operations Focus and Results. READ MORE.